Las Vegas Restaurant Guide. Here are more of our favorite picks. We love to hear of great restaurants we haven't tried, or if you have anything to add about one we mention please click here to share your Las Vegas restaurant reviews. Nobu Restaurant at the Hard Rock Cafe. One of the original "Asian Bistro" experiences made famous by celebrities in Los Angeles. Now you can find them in most major tourist cities. This was where we had edamame for the first time ever if you can believe it! Nobu is a Japanese restaurant and hot spot. We have been here once in Las Vegas and once at Atlantis in the Bahamas. We really enjoyed it, but to be honest we prefer Tao. The sushi here was quite good and we enjoyed our dinner however, the main issue we found with Nobu was that it was busy, and noisy. I am not sure if it was due to the architecture of the restaurant but everything seemed to echo. This took away from our experience. 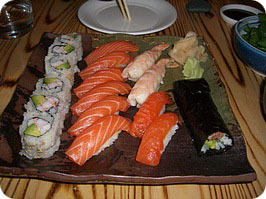 Food Style: Japanese Cuisine - we order a number of dishes and share. Pros: Food was good and it was great to try the restaurant we heard so much about. Cons: Noisy - hard to talk to people at table and rest rooms were a hike through the casino. We have had meals that were spectacular here, and others that were not so great. So we find it hit and miss these days. As it used to be one of my favorite restaurants, we tried it in New York and Las Vegas. We prefer Las Vegas. The ambiance is awesome and the food incredible. 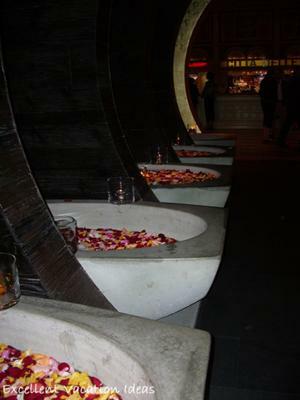 Make sure you take a trip the the rest rooms - they are an experience in themselves. Food Style: Asian fusion - Chinese, Thai and Japanese Cuisine - we order a number of dishes and share. Dining Style: Casual Elegant - we like to dress up a bit. Pros: Whole experience is great and we highly recommend it. Cons: Hard to get into - MAKE A RESERVATION - and really busy on Friday and Saturday nights due to the Tao night club. Latest Update: We revisited Tao in April of 2010. To be honest we felt the service had gone down hill and we found it incredibly loud. That may have been just that night but we weren't very impressed. We visited again in the summer of 2011, during a "21st birthday trip" for our nephews. They wanted to check out the Tao nightclub, and if you eat in the restaurant you get in for free and can bypass the lines. It was much better and the service was awesome. So overall it seems to be a hit and miss with this restaurant. 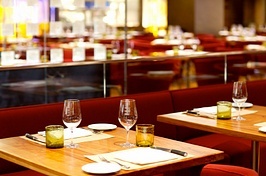 "Very trendy, and not just my favorite because I get a comped dinner there whenever I go to Vegas! Everything they make at Tao is delicious...particularly love the lobster wantons, the awesome spring rolls and the Chilean sea bass. It's the one place where I can take my super picky/meatatarian/vegetarian friends and everyone leaves happy. Drinks are great, service is fabulous, and if you don't have an in at the club, they'll stamp your hand so you don't have to wait in line later!" 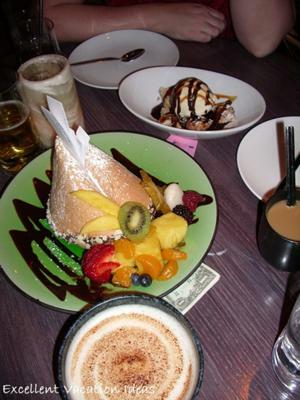 Do you have a favorite Asian Bistro that you would add to our Las Vegas Restaurant Guide? Share it in our Las Vegas restaurant reviews? Warren and I are not big Buffet fans. In fact we usually only go to one if someone else wants to, it's a special occasion (like a Christmas brunch) or if we are starving and need to eat quickly. Our favorite is Le Village Buffet in Paris, but we also had a great Christmas Day brunch at the Buffet in Bellagio. 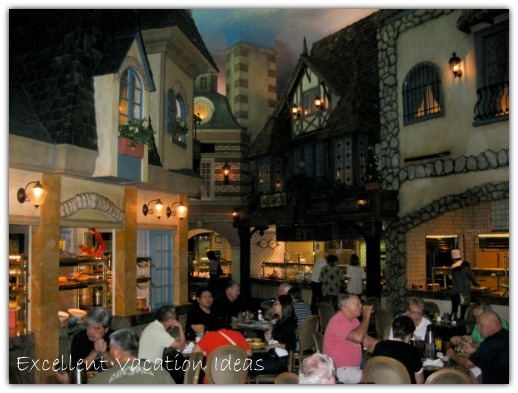 Le Village Buffet is located in the Paris Hotel and is easily accessible from Bally's or Paris. The food is great and fresh. The ambiance is as if you are in a French Village - it is quite lovely. Food Style: French Buffet - Many of the dishes are made to order. Pros: Food is excellent and meals are prepared to order. Cons: Hours are restricted to breakfast, lunch and dinner - so if you miss it you have to find somewhere else to eat. Harrah's Entertainment is offering a 24 hour pass to 7 of their buffets starting at $39.99 (as of April 2010). Check with Harrah's to see if they are still offering this pass when you get to Las Vegas. 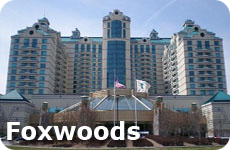 As of October 2011, Harrah's is still offering the buffet pass but at a higher price. It still looks like a great idea to me! 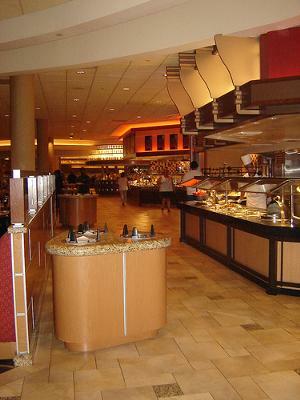 "This is the best buffet in Las Vegas that really impressed me. Foods from all over the world cooked fresh and instant, chefs from every point of interaction cooking in front of you, and the dessert island...mmmm gelato! Not your typical bland flavouring. The food really has fine taste. When I return to Las Vegas again, that is one place I will be returning! " Do you have a favorite Buffet that you would add to our Las Vegas Restaurant Guide? Share it in our Las Vegas restaurant reviews?